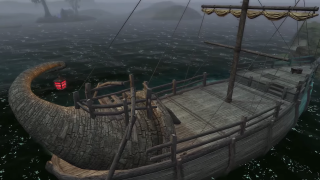 Skywind is an ambitious mod that aims to recreate Morrowind in Skyrim's engine. A new update to the as-yet-unreleased project means better landscapes, new assets, new weapons and more—all of which is showcased in this new video. Don't be fooled by the version number. 0.9.6 would normally suggest we're close to the magic 1.0. Here, that's not the case. "As goals changed," explains the trailer's description, "we realized there was so much more to do than initially thought. 0.9.5 came out in October, and there is a lengthy gap between each major update. These versions are not an accurate representation of overall progress towards a release, but instead milestones to keep track of. When we have more information on a beta or a release, we will let you know." See more from Skywind by following this link.